In the past 40 years, China has gone from low-cost manufacturing after the Maoist period to developing a robust innovation ecosystem. 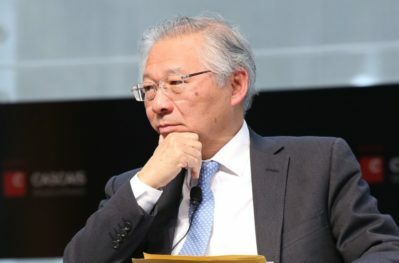 In this episode of Mastering Innovation on Sirius XM Channel 132, Business Radio Powered by The Wharton School, George Yip, Associate Dean for Executive MBA at the Imperial College Business School and author of China’s Next Strategic Advantage: from Imitation to Innovation, discusses the growth of major tech corporations in China, as well as what the West can learn from China’s strategies. China’s population has experienced increased access to education and a wide adoption of mobile technologies, leading to a flourishing of what Yip calls “customer-led innovation.” He has conducted extensive research on China’s economic growth, and explains that factors such as population size and the development of various science and technology parks allow firms to experiment with hundreds of millions of users at once, leading to invaluable consumer insights. 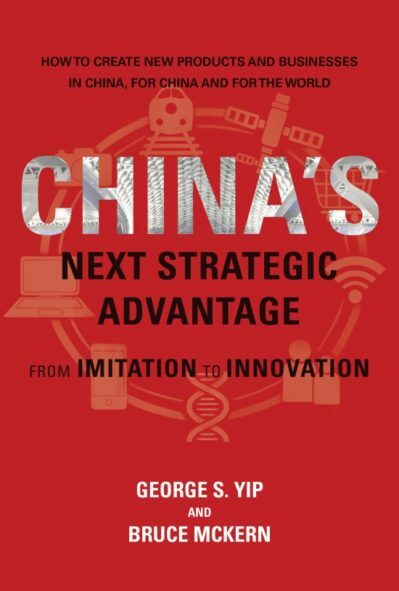 Yip details the drivers behind innovation in China today, from consumer sophistication, government-sponsored initiatives, and increased investment in R&D around the world. Harbir Singh: You refer to some of the big successes among corporations such as Alibaba, Xiaomi, Tencent, Huawei, and Lenovo. Huawei is the most interesting to me because they’re in tech networking, industrial B2B products, and one can argue that that is going higher up in the value chain. They have been very successful, and it’s still early days. Tell us more about this. George Yip: Huawei is in telecommunications equipment: networks, routers, and other equipment like that. Singh: Cisco would be a competitor, for example. Yip: And Sweden’s Ericsson, for example. The way Huawei started to innovate has been typically Chinese. It’s been very close to customers. Its early innovations were not that scientific, but they were practical innovations. They had to put in a system in Amsterdam, which is a very crowded city. So they innovated their system so that they broke it up and had bulky units either in the basement or on the roof and the control systems in the offices. That was very much applications-oriented. Since then, they’ve invested more in science-based innovation, and now they’re really investing in 5G. They certainly pioneered something called the single ram, which combined 2G, 3G, and 4G working together. That was a customer-oriented innovation that used a lot of engineering. Singh: Alibaba’s story is vastly different. I studied Alibaba a bit because I co-authored a book on Chinese business leaders. When we look at Alibaba, what we see is a copying of some of the initial technological platforms, but then innovation on the customer interface, as you said. Jack Ma was insistent that the customer interface should include negotiation in some way, and eBay, which was doing well in China, lost to Alibaba because they did not adapt and put that design principle front and center. There’s a lot more to it, but it speaks to your point about how market led innovation in some way. Yip: The other interesting thing about China is it has more customers than any other country in the world. The internet is very much based on large numbers, so to innovate in the internet space, you have to experiment. Alibaba and other internet companies in China can experiment with tens of millions, if not hundreds of millions of users. The interesting thing is that unlike engineered products, which China has been able to export around the world, Alibaba’s products are not yet being exported. That may happen, because Alibaba is trying to lead the world in terms of mobile payments. China is leading the world in mobile payments, and it’s also leading the world in internet shopping. Chinese consumers are very internet- and mobile-oriented, and this becomes a source of advantage for Chinese companies. Singh: China is the world’s leader in customer data, right? You’re making the fascinating point about running more experiments and getting answers perhaps in a shorter time. Yip: Yes, they do this not just in the internet. I was talking to a Western pharmaceutical company that’s running R&D in China, and what they told me was that, in the West, when they’re considering three possible experiments, they might run one of them. In China, they just run all three experiments, again, using large numbers and speed. Singh: What are some of the challenges? One challenge I can think of is that the U.S. system is a magnet for talent, people coming from everywhere, going to universities, and then many staying on. China is taking advantage of its large population, but can we speak a bit about the diversity of perspective? Yip: As I said at the beginning, China’s benefiting from bringing back ethnic Chinese who have studied science and engineering in the best Western universities. In fact, China has an official program to bring them back. They offer some tax incentives and other honors. I can give you a specific example: I visited a company called Royole in Shenzhen in South China started by a Stanford PhD called Bill Liu. He makes flexible displays, and he’s just come out with a totally flexible mobile phone that you can wear around your wrist. He’s also designing very thin, flexible displays to eventually replace the dashboards of cars. Instead of starting his company in California, he got his PhD at Stanford and decided to go back to China because that’s where the market is and where he can get large numbers of scientists and engineers. These foreign-educated ethnic Chinese are bringing the creativity back to China. While admittedly, large numbers of Chinese-trained engineers and PhDs are not of the Western standards, we have these almost geniuses coming back to manage large pyramids of Chinese trained engineers and scientists. Singh: Are there any forces that might be challenges, or is it kind of a ramp going straight at a very high angle to greater and greater innovation? Yip: The current trade war might be a real problem, because Chinese government’s declared policy “Made in China 2025” depends very much on moving up the value chain, innovating and manufacturing more technically advanced products. But they’re going to have to sell that. Another part of their strategy is to acquire foreign companies for their technology. The West has only just woken up to that, and now there is starting to be some resistance because the ideology in the U.S. and in the U.K. is, “We don’t care who buys our companies, we believe in a free market.” But now there is some awareness that perhaps Western economies don’t want China to buy their best technologies, such as the Chinese company that bought a German robotics company, KUKA, a couple of years ago. This really scared the German government; robotics and Industry 4.0 is one of the key planks of German manufacturing advantage. Associate Dean for Executive Programmes at ICBS. Previous academic positions include Professor of Strategy and Co-Director of the Centre on China Innovation at China Europe International Business School, Dean of Rotterdam School of Management – Erasmus University, and Harvard, UCLA, Cambridge Judge (Beckwith Professor of Marketing and Strategy) and London Business School (Professor of Strategy and Associate Dean, MBA). Former Lead Senior Fellow of the UK’s Advanced Institute of Management Research. Editorial Advisory Board of MIT Sloan Management Review. Previous business positions include Vice President and Director of Research & Innovation at Capgemini Consulting, senior manager at Price Waterhouse (USA), manager at Unilever, and various boards. Author of Strategic Transformation (2013), Managing Global Customers (2007), Asian Advantage: Key Strategies for Winning in the Asia-Pacific Region (1998), and Total Global Strategy (1992 and 2012). Over 100 publications, including in Strategic Management Journal, Harvard Business Review, MIT Sloan Management Review and California Management Review.